This quick guide will show you the fastest, easiest way to install Kodi Exodus. 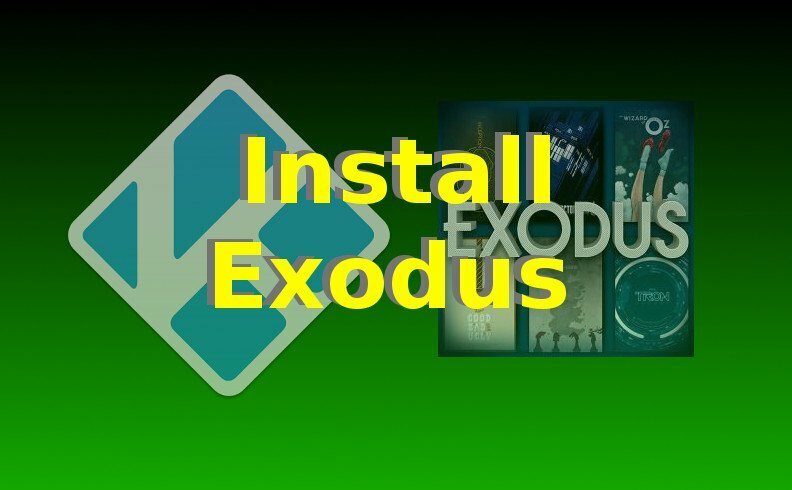 Exodus can be installed on Kodi for ANY platform (PC, Mac, FireStick, etc). Select the empty box that’s just below the address you entered. This is the “Name” box to name the source you’re now adding. Enter a name, such as “f” for Fusion. Wait for the notification to appear that says Exodus Addon Enabled (once again, in the bottom right corner of your screen). After Exodus is launched, choose a main menu item such as “TV” or “Movies”. Now you’ll see a display of movies in that category. Select a movie from the list. Kodi will now “fetch” all the sources for the movie you selected. Wait for Kodi to do this. After Kodi fetches the sources in Exodus, it will show you the list of sources. Choose a source from the list. If a source doesn’t work, try the next source. Eventually you will find a working source. Reset your streaming device to Factory Default Settings. To do this, search Google for “DeviceNameHere factory reset”. Check your WiFi signal and your network to make sure everything is OK. Kodi needs a solid network signal to download Exodus.